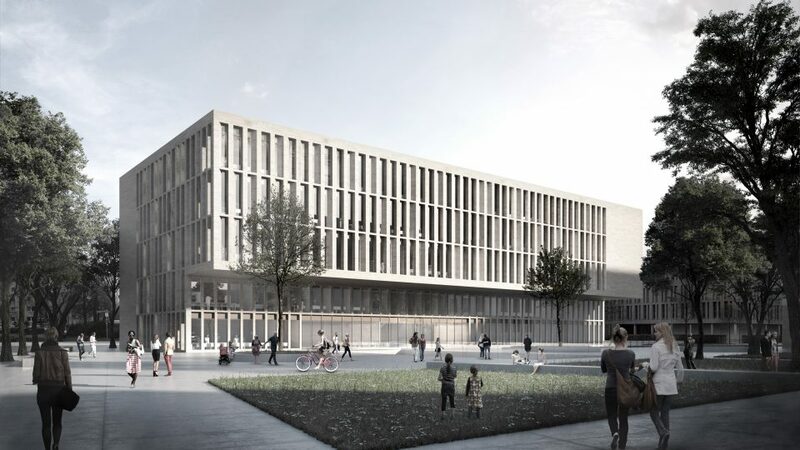 To meet the growing demand for space at Dresden University of Applied Sciences, the campus at Friedrich-List-Platz is being extended with a multi-purpose teaching and laboratory building. The structure and facade of the new five-storey building, which includes laboratories, workshops, seminar and office rooms, reference the adjacent neoclassical existing buildings from the 1950s and the library building completed in 2006. 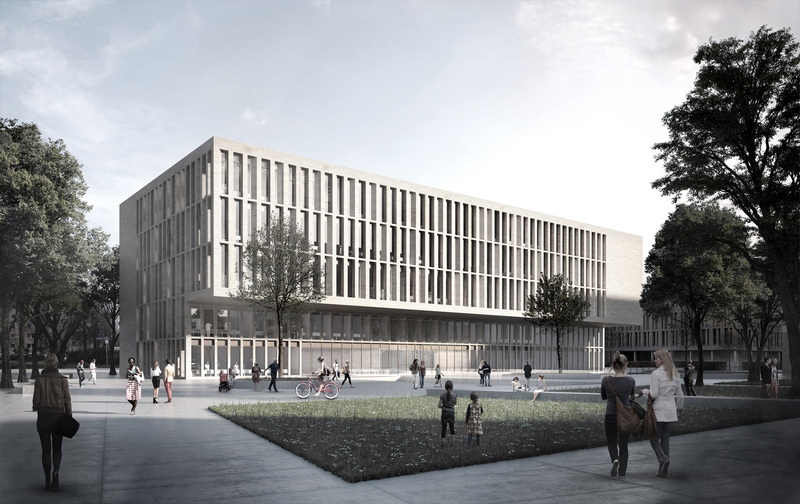 The significant recess of the two lower floors creates a new, prominent entrance area to the university. The building extends the urban side of the campus to the east and continues the clear north-south axis of the ensemble. A communicative outdoor space is created between the new building and the existing main building. Despite the extensive amount of space achieved by the building, the structure itself is very compact. This is made possible by the large basement, illuminated by two courtyards. The area around the courtyards is used for laboratories and offices. The upper floors connect with each other via a central atrium with an open staircase. 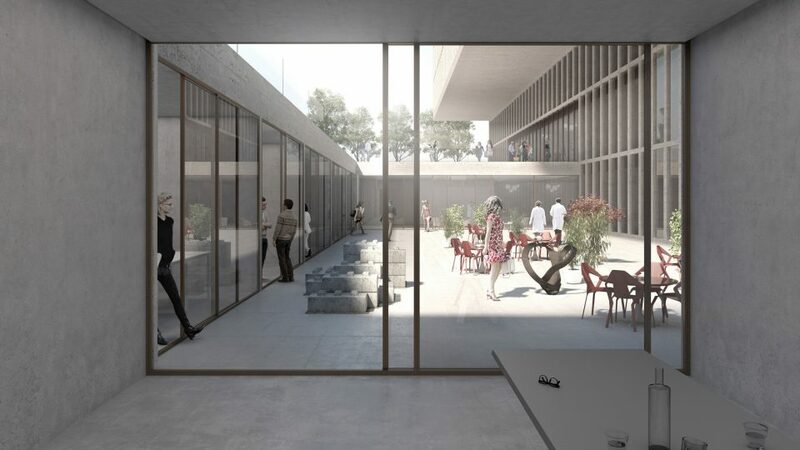 This area has a very distinguished feel to it and, as a communication zone, connects the various multi-purpose areas of the building horizontally and vertically. As with the neighbouring buildings, the facade is finely and severely structured using a bright stone, although this severity is subdued by the varying shadows cast from the slanted soffits and the dominant cantilever.